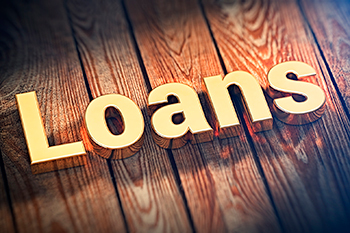 Fixed rate loan: When to opt for it? The difference between the two is that the rate of interest on a fixed rate loan will remain fixed for the duration of the loan or is subject to periodic review, whereas the interest rate on a floating rate loan is based on the marginal cost-based lending rate (MCLR) and is usually linked to the market rates. If you are planning to apply for a home loan or any other loan involving a big amount and for a long term of 10 to 15 years, you will have the option to go for a fixed rate loan or a floating rate loan. The difference between the two is that the rate of interest on a fixed rate loan will remain fixed for the duration of the loan or is subject to periodic review, whereas the interest rate on a floating rate loan is based on the marginal cost-based lending rate (MCLR) and is usually linked to the market rates. In the case of the latter, when the Reserve Bank of India changes its repo and reverse repo rates, the banks usually revise their rates upward or downward. As stated earlier, the fixed rate loans are of two types, one where the interest rate remains constant for the entire duration of the loan and the other where the interest rate is revised periodically. The revision is usually linked to a specified differential between the market rate and loan rate, so when the difference between the market rate and loan rate is high (say, by 300 basis points), the bank or the financial institution will revise the rate to bring it to the level of the market rate. The interest rate differential threshold limit when the loan rate is subject to revision is specified in the loan agreement. The interest rate charged on a fixed rate loan is comparatively higher than a floating rate loan. Even between the two types of fixed rate loans, the interest rate of permanently fixed rate loan will be higher by, say, one percentage point, than the fixed rate loan where the interest rate is subject to periodic review. Also, the bank or financial institution may impose some restrictions on the amount a borrower can prepay on both types of fixed rate loans. The fixed rate loans are suitable when the interest rates are expected to rise. In this case, the interest rate remains locked at the level when the loan was taken even if the interest rates rise. Conversely, fixed rate loans are costly in a scenario when the interest rates are dropping or are expected to go down in future. So, the suitability of otherwise of the fixed rate loan depends on when the loan was taken and at which level of the interest rate cycle.